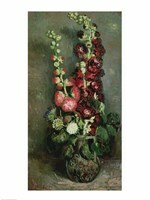 This painting is a still life composition of a colorful arrangement of red, white and blue flowers in a vase set against a pale blue background. Notice the reflection of the flowers in the table. 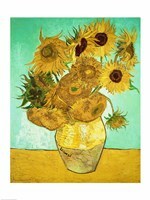 It was painted by Vincent van Gogh in 1887, while he was living in Paris. 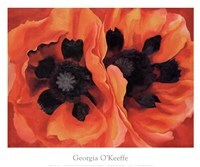 During this time he was influenced by artists of the Impressionism and other movements. 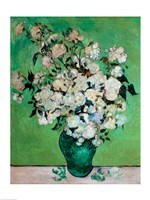 He began to introduce brighter colors and experiment with various techniques. 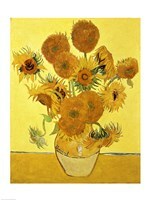 His art became more uplifting and less somber than his earlier work, perhaps a reflection of happier days. 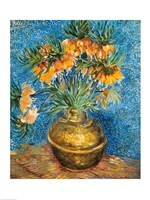 “Still Life Vase with Cornflowers and Poppies” will brighten any dull corner or space.